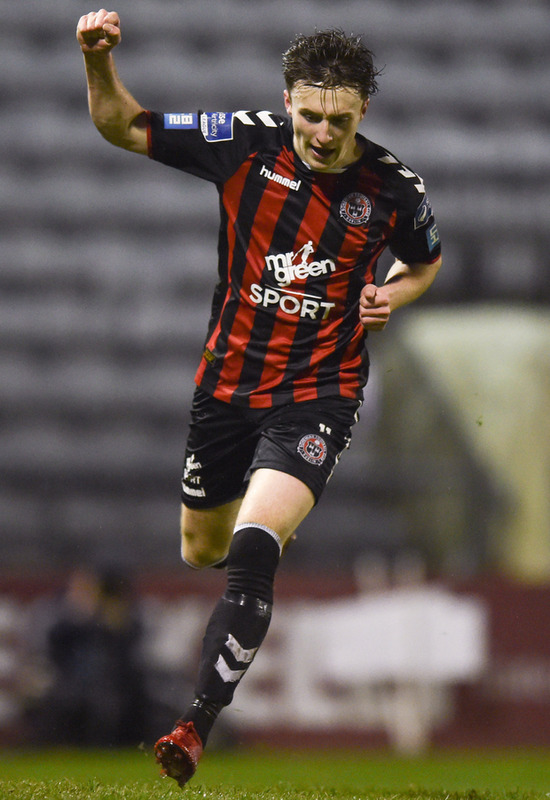 Daniel Grant fired second-placed Bohs to a tame win over basement boys Finn Harps. Grant hit the only goal of the game seven minutes before half-time. Keith Ward's cross was only partially cleared by Harps and Grant shot's bounced off the turf and beyond 'keeper Ciaran Gallagher. Moments earlier, Gallagher had to be at his best to deny former Harps man Kevin Devaney, whose swerving effort forced the Harps number 1 into an acrobatic save. Harps had a big let-off just a minute after conceding as Dinny Corcoran shot off the base of the post with Ward's follow-up beaten away by Gallagher. Nathan Boyle forced Bohs netminder James Talbot into action with an awkward attempt a quarter-of-an-hour in. The game's first shot on goal was about as good as it got for Harps, although John Kavanagh stung Talbot's stomach early in the second half. Harps had big claims for a late penalty when sub Mikey Place went to ground, but referee Damien McGraith waved away their appeals. Finn Harps - Gallagher; O'Reilly (Place 68), Cowan, Todd; Kavanagh, Doherty (McNamee h-t), Borg, Coyle, Russell; McAleer; Boyle. Bohemians - Talbot; Pender, Finnerty, Barry, Leahy; Grant (Reghba 79), Buckley, Devaney, Levingston; Corcoran (Swan 90), Ward (Mandroiu 70).